Very Good. Through her own story of midlife upheaval, the author of the beloved Mitten Strings for God invites mothers to rediscover the wonder of ordinary days with their families as they approach the 'letting go' that comes with raising teenagers. Trade paperback (US). Glued binding. 321 p.
Good. Through her own story of midlife upheaval, the author of the beloved Mitten Strings for God invites mothers to rediscover the wonder of ordinary days with their families as they approach the 'letting go' that comes with raising teenagers. Trade paperback (US). Glued binding. 321 p.
Very Good. 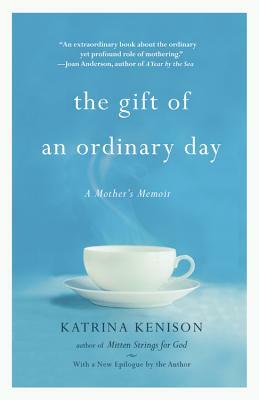 Through her own story of midlife upheaval, the author of the beloved Mitten Strings for God invites mothers to rediscover the wonder of ordinary days with their families as they approach the "letting go" that comes with raising teenagers. Glued binding. Paper over boards. With dust jacket. 310 p.
Good. Through her own story of midlife upheaval, the author of the beloved Mitten Strings for God invites mothers to rediscover the wonder of ordinary days with their families as they approach the "letting go" that comes with raising teenagers. Glued binding. Paper over boards. With dust jacket. 310 p.